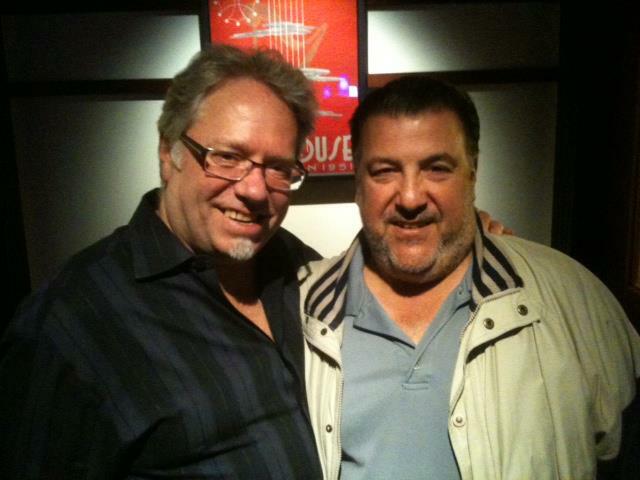 Joe Prino, left, with Scott Gelman. As dream teams go, the crew of Chicago club and concert veterans recently assembled to run the newish Rogers Park venue Mayne Stage can rival Marvel Comics’ legendary Avengers. 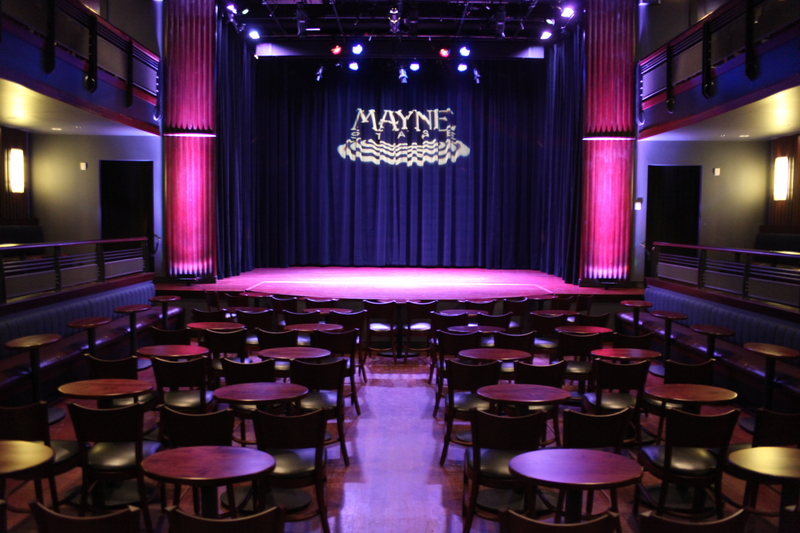 Located at the former site of the Morse Theatre, Mayne Stage was completely remade in 2009 in a spare-no-expense, $6 million renovation by Col. Jim Pritzker, perhaps the quietest and most grassroots community-oriented member of that vaunted family. Located on Morse Avenue between Clark and Sheridan, the venue has made some fans—Chicago Tribune jazz critic Howard Reich called it “one of the most acoustically and visually inviting small spaces in Chicago”—but it’s been slow to make its mark on the city’s broader musical scene, initially concentrating on comedy and cabaret. That is poised to change. Six months ago, Mayne Stage—which has a capacity of 220 when the space is filled with tables and 400 when it’s a mix of standing room and the fixed seating ringing the floor and balcony—brought on one of the most famous names in the local rock world as its new general manager: Joe Prino, who co-owned and helped run Wrigleyville’s Metro with his better-known partner Joe Shanahan for 18 years, from 1982 until 2000. Since his arrival, Prino, who also has had a hand in Double Door and at restaurants such as the Daily Bar & Grill and Silver Cloud, in turn recruited some names with reputations and resumes that are just as impressive. Scott Gelman, a veteran of Jam Productions and Live Nation, Sean Duffy, whose Last Rites booked the Abbey Pub for 11 years, and David Chavez, a longtime fixture at the Hothouse, now handle the musical bookings. “Before I got here, the job was done by Chris Ritter, who had run the Lakeshore Theater, and he did a lot of comedy,” Prino says. “That’s what he knew, and he stumbled with rock ’n’ roll. It’s tough, because there’s never been more competition, and if you don’t know the agents, they won’t take your phone calls. Since parting ways with Live Nation, Gelman mainly has been booking big-name heritage acts at private parties. His company, One Eleven Productions, has been eager to work with a permanent venue, however, and he recently partnered with Duffy, whose break from the Abbey last year followed that club’s sorry conversion from an underground rock venue to yet another sports bar, as painfully chronicled on reality TV. For his part, Chavez long has excelled at showcasing rising world music and avant-jazz talents through his company, Sound Culture. To varying degrees, most of these pros either have been screwed over by or grown tired of the increasing corporatization and intensifying competition plaguing the live-music world. Prino burned out on the grind early in the new millennium and left Metro for the world of real estate in Union Pier, Michigan, where his wife opened a small gift shop. But his return to the music world wasn’t only prompted by the real estate crash. The idea of “rock clubs for grown-ups tired of being treated like sh*t” isn’t a new one in Chicago. 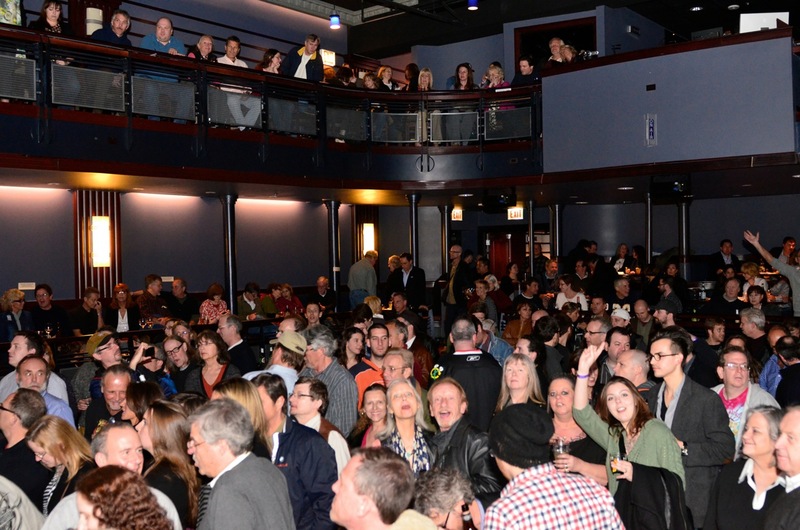 Over the last few years, the city has gained several comfortable, great-sounding rooms with top-shelf bars and good to great restaurants, including Lincoln Hall (500 capacity), the Bottom Lounge (700 capacity) and the new City Winery (300 capacity). Already intense because of the number of venues and the challenge of competing with festival glut from spring through fall, the dinner-and-a-gig niche of Chicago&apos;s club scene seems to be growing particularly competitive. Mayne Stage’s rock bookings to date have been good but not great: Recent performers include Leon Russell and Queensryche singer Geoff Tate, while upcoming acts include Jon Anderson of Yes, the reunited Zombies, Howard Jones, Octopus Nebula and Sierra Leone’s Refugee All Stars. “It’s not burning down the house just yet, but this is a slow, steady build where we’re exploring and refining and looking at what works in the room,” Darling says. And with a room as great as this one and a back office filled with so much talent and experience, it’s impossible not to share her enthusiasm.